Lectrosonics is well respected within the film, broadcast, and theater technical communities since 1971. Lectrosonics wireless microphone systems and audio processing products are used daily in mission|critical applications by audio engineers familiar with the company's dedication to quality, customer service and innovation. 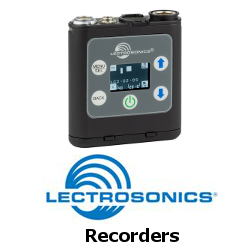 Lectrosonics is a US manufacturer based in Rio Rancho, New Mexico. John Barry repairs Lectrosonics products in|house. Click here to view the Lectrosonics warranty information.